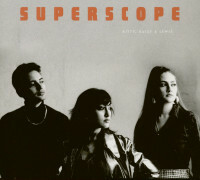 This Record, Superscope, is their fourth album and is quite frankly their most accomplished to date. The process for making their records is simple yet developed and ever growing. 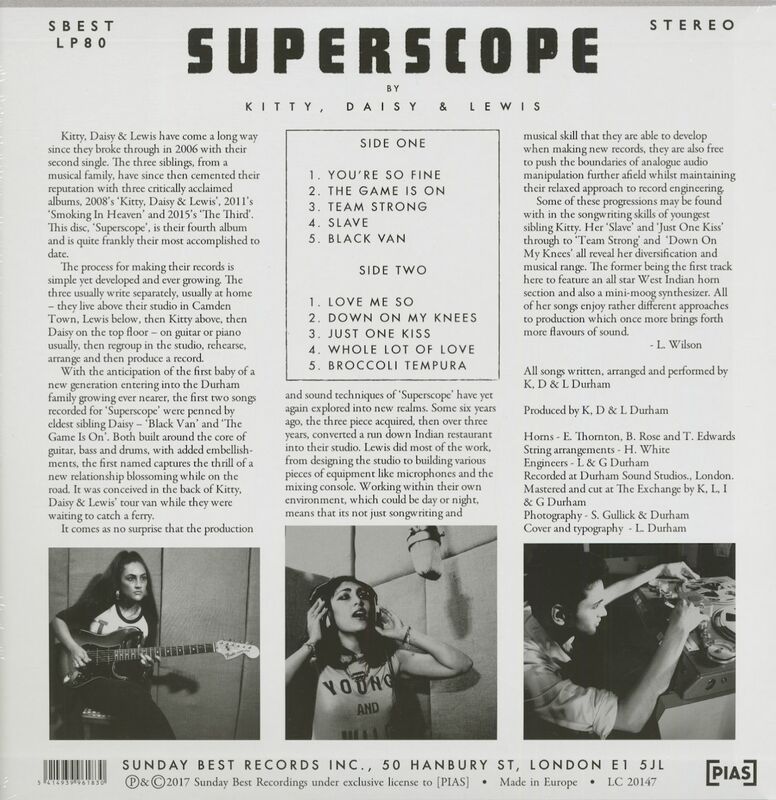 The three usually write separately, usually at home - they live above their studio in Camden Town, Lewis below, then Kitty above, then Daisy on the top floor - on guitar or piano usually, then regroup in the studio, rehearse, arrange and then produce a record. With the anticipation of the first baby of a new generation entering into the Durham family growing ever nearer, the first two songs recorded for `Superscope' were penned by eldest sibling Daisy - 'Black Van' and 'The Game Is On'. Both built around the core of guitar, bass and drums, with added embellish-ments, the first named captures the thrill of a new relationship blossoming while on the road. 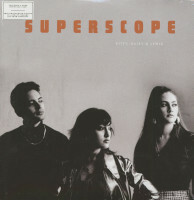 Customer evaluation for "Superscope (LP)"